Summary: When my husband's aunt laughed at the idea that I could create a vegan chili that was worthy of entering into the family's annual, meat-laden chili cook-off, I knew I wanted to enter it as a contender. After all, chili really revolves around the seasoning and, I think, a well-seasoned pot of beans stands on its own merits. When my husband’s aunt laughed at the idea that I could create a vegan chili that was worthy of entering into the family’s annual, meat-laden chili cook-off, I knew I wanted to enter it as a contender. After all, chili really revolves around the seasoning and, I think, a well-seasoned pot of beans stands on its own merits. 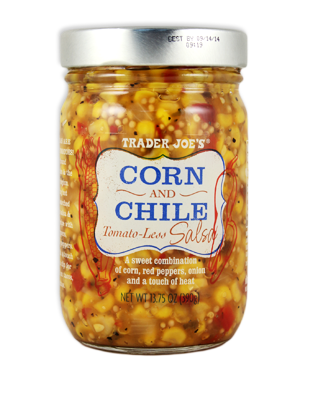 I love adding corn to my chili because I appreciate dishes that offer an array of colors; it makes the dish look even more appealing. While sauteed onion and garlic is always best, I used powder ingredients for this recipe because this is how I make it when I am pressed for time and need to get dinner on the table quickly. It is still tasty, and worth the extra minutes you gain by not chopping and sauteing. Dump all but one of the cans of kidney beans in a medium saucepan and place over medium heat. While that is warming up, take the second can of kidney beans and dump both beans and the water in which they come into a blender. Blend on high until mixture is completely blended and takes on a creamy consistency. Pour it into the chili. Cook on medium heat for approximately 15-20 minutes, until it is warmed thoroughly, being sure to stir frequently. If you’re really pressed for time, you can eat it once it is heated through. If you have a little time, turn heat down to low and let it simmer for about 45 minutes so that the flavors can further meld together. Be sure to stir occasionally. Serve with your favorite chili accompaniments. I love topping it with sliced avocado and serving it with warm vegan, gluten free corn tortillas. Best of all, this chili is packed with protein, and the leftovers are excellent for lunch the next day.